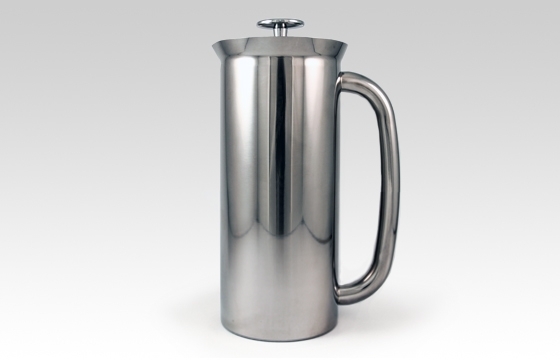 A double walled stainless steel press, that uses dual extra fine filters to create a cleaner cup than traditional plunger pot designs. The screens are BPA free plastic. The double wall design keeps coffee hot for 1 to 2 hours. See Espro's press instructions here.